It’s been nearly a year since Ridgefield School District’s Boundary + Start Time Committee started work on a plan to adjust school boundaries and start times for its growing student population, and KWRL Transportation has been a part of the planning process from day one. During the process, the committee developed some core values and goals for a new transportation model that would best serve Ridgefield students and tasked KWRL with the goal to develop routes aligned with those values. Specifically, the committee requested bus routes that were age-appropriate, building-specific and reduced the duration of time that students spent riding school buses. As was done last year, online registration to ride the bus is mandatory. This year, it is required only for students new to the district. Students who registered last year do not need to register again unless their address or emergency contact has changed or if they will be attending a different school this year due to school boundary changes. To register online, click HERE. 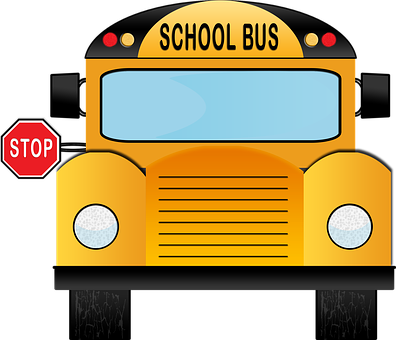 New route information for Ridgefield School District will be released on the KWRL website on August 17th. All registered students who provided a phone number or email address will receive a message providing students with their new Route Number. KWRL’s website is www.kwrl.org. KWRL has re-designed all bus routes based on the new schools and bell schedules. Its new transportation model provides 23 buses servicing 41 routes. Of these 41 routes, 18 routes will transport K-4 students, 6 routes will transport students in Grades 5-8, 12 routes will transport students in Grades 5-12, and 5 routes will transport students in Grades 9-12. In addition, 29 of these routes will be building-specific, which means that the buses on these routes serve one school only without having to travel to another building to drop off or pick up students, greatly reducing the ride time for students. The mix of students on each route no longer spans the K-12 grade level range, and 70% of students will be riding only with students from their building. New this year! KWRL is now using Route Numbers instead of Bus Numbers to provide consistency in bus ID’s. The Route Number will never change even when new buses are placed on a route or when spare buses are used. Look for the black Route Number (RT#) placard on each side of the bus instead of the state maintenance bus number used in the past. 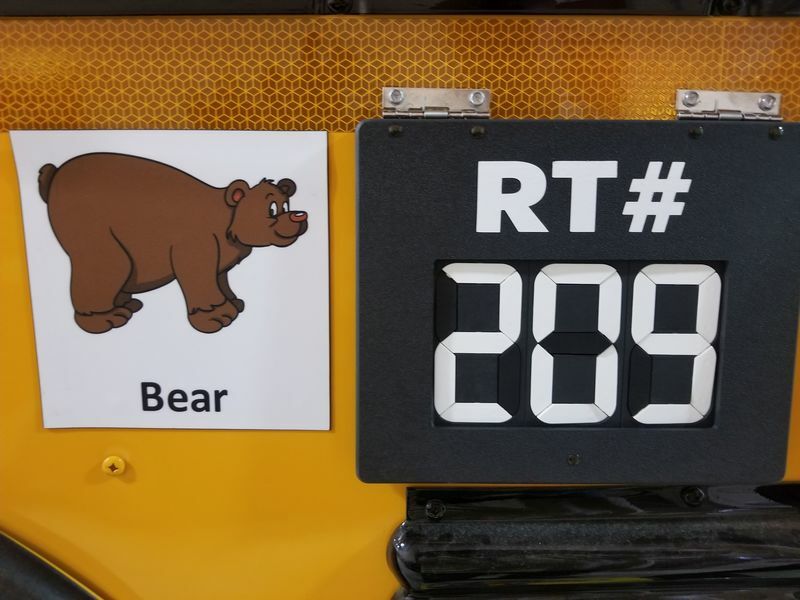 Route Number placards can be found on either side of the school bus. A close-up view of the black Route Number placard. 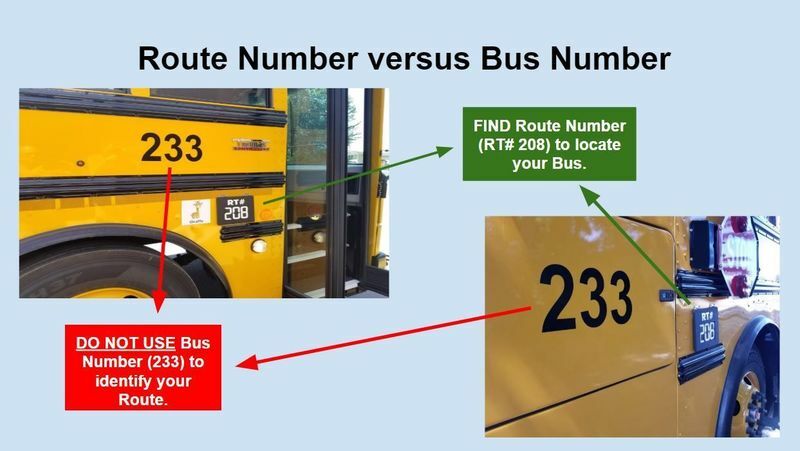 All bus routes and times are new this year, so it is important that parents check KWRL’s website at www.kwrl.org to verify their students’ Route Number and bus stop time. With the implementation of the new transportation model, new buildings to get acquainted with, new developments added to the system and lots of new faces to transport, there will certainly be bumps in the road during the first weeks of school. KWRL asks for patience as its new transportation plan transitions into routes that benefit all the Ridgefield families they serve. Over the last decade, KWRL has transported local students over 14 million miles without an at-fault injury accident. The yellow school bus is still the safest way for students to get to school, and with the new transportation model soon to be implemented, it’s sure to be even safer.